Meet the Talent | AT&T SportsNet. Meet the Talent – AT&T SportsNet. From Side-Line Reporting to Play-By-Play Announcing, Our Sports Experts Give You an Inside Track to the Scores, Highlights and Big Plays, Bringing You Closer to the Game! 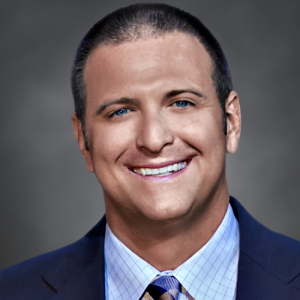 Craig Ackerman joins the AT&T SportsNet broadcast team this season as a play by play analyst for Rockets games. A member of the Rockets organization for over 20 years, he has served as the Radio Voice of the Rockets since 2008. Ackerman moved into his current role after serving five seasons as the studio host and substitute play-by-play announcer for Rockets radio broadcasts. Ackerman also filled in as radio analyst for games during both the 2006-07 and 2007-08 seasons. From 2006-08, Ackerman worked as the radio and television play-by-play announcer for the Houston Comets of the WNBA. He also called action for football and men’s basketball for the University of Houston. From 1997-2000, Ackerman was a member of the Rice Owls Radio Network. 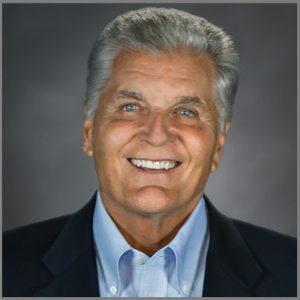 He was the sideline reporter for Rice football, as well as the play-by-play man and color analyst for the Rice men’s and women’s basketball programs. 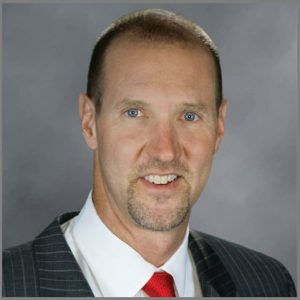 Ackerman previously worked as a play-by-play announcer, color analyst and studio host for the Houston ThunderBears of the Arena Football League. 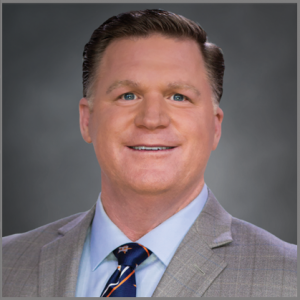 Ackerman’s on-air experience also includes work for NBA TV, where he served as an anchor/reporter covering the 2006 NBA All-Star Weekend in Houston, and CSS Sports, where he has served as a play-by-play announcer and sideline reporter. Ackerman and his wife, Shannon, live in Missouri City with their sons, C.J. and Chase. 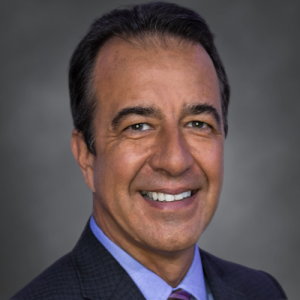 Todd Kalas, who is the son of Hall of Famer and former Astros broadcaster Harry Kalas, has 25 seasons of experience as a broadcaster in professional baseball. He spent the last 19 seasons (1998-2016) as part of the Tampa Bay Rays TV broadcast team. While his primary duties for the Rays were as pre and postgame host and in-game reporter, Kalas also handled play-by-play duties for hundreds of Rays games on both television and radio during his time there. He is highly-respected in the industry amongst his peers and by the many players he has interacted with. Known for his distinctive voice and personality, Kalas grew to be a popular figure with Rays fans as a result of his work on the broadcasts and was a two-time Suncoast Emmy award winner. Prior to joining the Rays, Kalas also had stints with the New York Mets radio (1992-93) and Philadelphia Phillies television (1994-96) broadcast teams. A native Houstonian, Kalas was born at St. Luke’s Episcopal Hospital in Houston while his father, Harry, served as an Astros broadcaster from 1965-70. Harry would later call Phillies games from 1971-2009 en route to a Hall of Fame career. When the Phillies and Rays met in the 2008 World Series, Todd and his father called an inning together on radio during Game One of the Fall Classic. Geoff Blum, who retired after 14 Major League seasons as an infielder (1999-2012), made the transition from the playing field to the broadcast booth in 2013. He returns to the broadcast booth in 2017, serving as primary color/analyst on AT&T SportsNet Astros telecasts. During his playing career, Blum played two stints with the Astros, totaling five seasons in Houston (2002-03, 2008-10). A switch-hitter, Blum was known as one of the top pinch hitters and utility players in the game, appearing at all four infield positions for nine straight seasons (2000-08). He appeared in the postseason on three occasions (2005-06, 2011). In 2005, Blum hit a go-ahead solo home run in the 14th inning in Game 3 of the World Series to become the 30th player to homer in his first World Series at-bat. 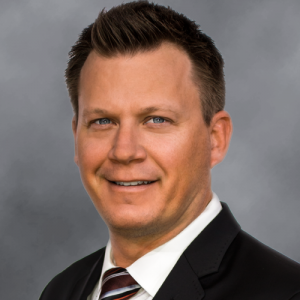 Matt Bullard is a Color Analyst for all AT&T SportsNet broadcasts of Houston Rockets games. Previously he served as a substitute game analyst and pre and postgame analyst. 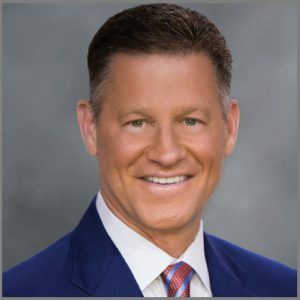 So far during his broadcast career he has been nominated for two individual Lone Star Emmys (2010 and 2015) and was part of the broadcast team that won the Lone Star Emmy Award for Live Production in 2013. A 11-year veteran of the NBA, Bullard spent four seasons as the Radio Color Analyst for home broadcasts of the WNBA’s Houston Comets; a role he started while still playing for the Rockets. He began his NBA career with the Rockets in 1990 and played nine seasons with the team including the 1993-94 NBA championship campaign. Aside from his play in Houston, his resume also includes the 1995-96 season with the Atlanta Hawks and time with the Charlotte/New Orleans Hornets in 2001-02 and 2002-03. He also played one year professionally in Greece for PAOK Thessaloniki. He finished his university basketball career at Iowa after transferring from Colorado following his sophomore season and played four summers for USA Basketball while in college winning two gold medals and two silver medals. Bullard has been featured in weekly NBA segments on KPRC-TV Sports Sunday and on NBATV as well as on Houston’s SportsTalk 790. He was also a finalist on season three of the ESPN reality show Dream Job in 2005. He and his wife Paula, have a daughter, Sara, and a son, A.J. The family resides in The Woodlands, Texas, where he continues to host his annual Matt Bullard Basketball Camp. Bullard also sits on the Board of Directors for Into Abba’s Arms, which is an orphanage in Kenya. 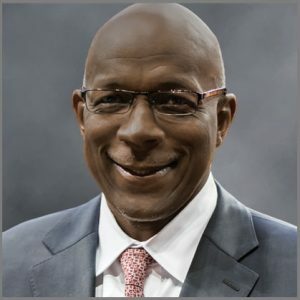 Houston legend Clyde Drexler, a Naismith Memorial Basketball Hall of Fame member, handles game commentary duties for all home games and postseason contests. A native of Houston, Drexler first gained fame with Hakeem Olajuwon as a member of “Phi Slamma Jamma” at the University of Houston. A decade later, “The Glide” returned to his hometown in 1995 to help “The Dream” deliver Houston’s second consecutive NBA championship. During his time with the Rockets, Drexler was honored on the NBA’s 50th Anniversary All-Time Team and became the third player in NBA history to collect 20,000 points, 6,000 rebounds and 6,000 assists in a career. In 219 games with the Rockets, the 10-time NBA All-Star averaged 19.0 points, 6.1 rebounds, 5.4 assists and 1.88 steals. A member of the original “Dream Team,” Drexler finished his NBA career with averages of 20.4 points, 6.1 rebounds, 5.6 assists and 2.03 steals in 15 seasons with Portland and Houston. He ranks 29th in NBA history with 22,195 career points and seventh with 2,207 career steals. This native Houstonian has been a fixture on the Texas sports scene for over 26 years. He’s hosted shows for both Texas MLB teams and all three NBA teams but his primary focus has been the Houston franchises. In 1997, Kevin began hosting pre and postgames shows for the Houston Astros and Rockets. Those shows aired on Fox Sports Southwest, Fox Sports Houston and Comcast Sportsnet. He’s also an accomplished Play-By-Play Announcer who has called Big Twelve football, basketball and baseball games plus filled in for Houston Astros and Dallas Mavericks games. Kevin has served the last two years as the radio voice of University of Houston Football, his alma mater. 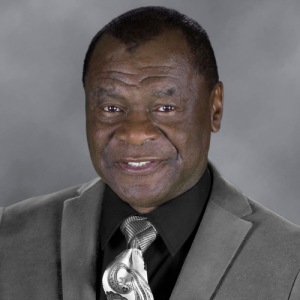 Known for his entertaining style in addition to his flashy suits, Calvin Murphy serves as the pre and postgame analyst for Rockets basketball games. Selected by the San Diego Rockets as the 18th overall pick in the 1970 draft, Murphy set several team and league records over the course of his 13 year professional playing career. His .892 all-time free throw percentage still ranks 7th in the league. The 1979 All-Star still holds the Rockets ream record for number of assists (4,402) and currently ranks second behind only Hakeem Olajuwon for team honors on career points, games played, minutes played, steals and field goals attempted and made. He scored better than 40 points seven times during the regular seasons of his career and retired prior to the 1983/84 season. A few months later his number was retired by the Rockets and less than ten years after that, he was inducted into the Naismith Basketball Hall of Fame. Prior to his pro career, Murphy was a three-time All American at Niagara and scored 2,548 points over three seasons (77 games). Mike Stanton is one of AT&T SportsNet pre and post game studio analysts for Astros broadcasts again this season. A former relief pitcher, the southpaw played with eight different organizations and earned three World Series Championship rings during his 19 years in the bigs. Stanton played in the post season for 11 straight years with four different teams and had a total of 53 post season appearances. Drafted from Alvin Community College by the Atlanta Braves in 1987, the native Houstonian made his major league debut just two years later in August of 1989. Stanton holds the records for the most holds (266) and second most pitching appearances in MLB history. The 2001 American League All Star has been covering Astros games since 2013. One of the most familiar faces within the Houston sports scene, Bill Worrell’s broadcasting career spans more than 40+ years. Worrell, who won a Lone Star Emmy in 2011 for best Play-By-Play Announcer, is in his 35th season as the Play-By-Play Announcer for Rockets telecasts. Worrell broke into the television business in 1970 shortly after graduating from the University of Houston, where he attended on a baseball scholarship. His first assignment was with KPRC Channel 2, where he served as Sports Director from 1974-1980. During that time, he received six “Best Sportscaster” awards from the United Press International and the Texas Association of Broadcasters. Worrell was one of the original employees for Home Sports Entertainment, Houston’s first sports cable channel. He signed the network on the air January 3, 1983, with a pregame broadcast prior to the network’s inaugural event, a Rockets home game. Worrell quickly established himself as one of Houston’s most versatile sportscasters. He served as an analyst on Houston Astros telecasts from 1985-2004, and has been the TV voice of the Rockets for the past 30 seasons. He has also broadcast play-by-play for the Houston Oilers and a variety of college sports. During his career, Worrell has covered and reported on numerous national sports events, including the Super Bowl, Kentucky Derby, Indianapolis 500, Major League Baseball Playoffs and NCAA Basketball Tournaments. A civic leader as well as broadcaster, Worrell generously donates his time to numerous charities and organizations and serves as master of ceremonies for many events. He currently serves on the Board of MyFriends Foundation for at risk children. Worrell was also named a Distinguished Alumnus of the University of Houston School of Communication in 1998 and was presented the Outstanding Alumni Award from the Alumni Association at the 60th Annual Awards Gala in April of 2014. 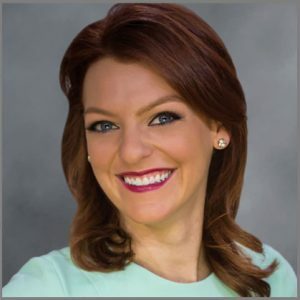 Michelle Margaux will serve as the in-game reporter for all home and away Houston Rockets game broadcasts this season. Michelle comes to AT&T SportsNet from FOX Sports Sun, where she spent the past year as reporter and host. She spent the previous two seasons with FOX Sports San Diego, where she was an in-game reporter for select Padres telecasts and hosted the network’s weekly show, “Padres POV”, which she also won an Emmy for. With FOX Sports San Diego, she also covered college basketball, college baseball, high school football and AHL hockey. She was also part of the network’s local coverage of the 2016 MLB All-Star Game and the 2017 World Baseball Classic. 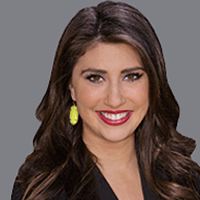 Before joining FOX Sports San Diego, she was an anchor and reporter for the NBC affiliate in Corpus Christi, Texas. Michelle graduated from the University of San Diego, where she studied communications and political science.